It’s no secret that Scotland boasts the most stunning landscape scenery in the British Isles, however, it also has incredibly dark skies too. On top of this, the Northern Lights are frequently spotted and photographed in many areas of Scotland. 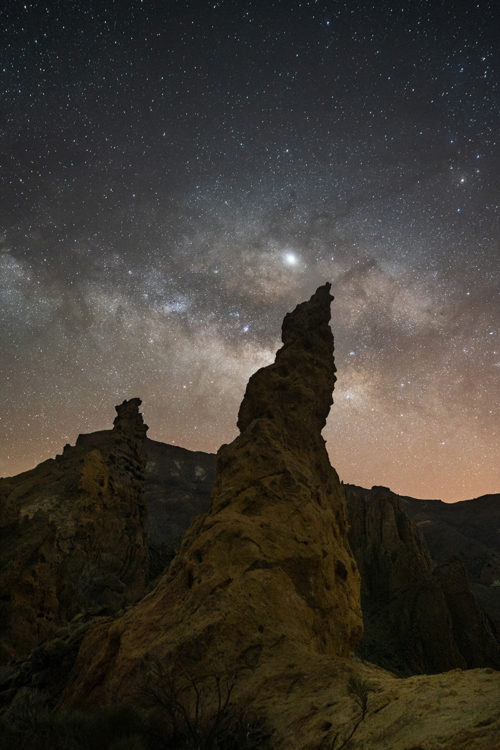 Learn how to plan, shoot, and edit professional standard nightscapes on this unique astrophotography workshop. 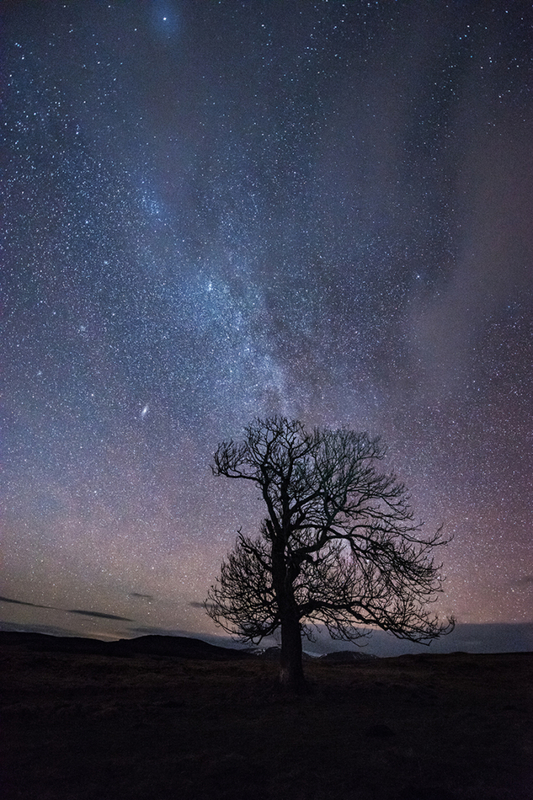 Focus on night photography, and work in some spectacular dark sky locations, on this Scotland Night Sky Photography Workshop, with an award winning nightscape photography tutor. A reasonable level of fitness is required due to boggy ground, and a potential slow hill climb. This workshop mainly focuses on night photography; a limited amount of traditional landscape photography may be incorporated. 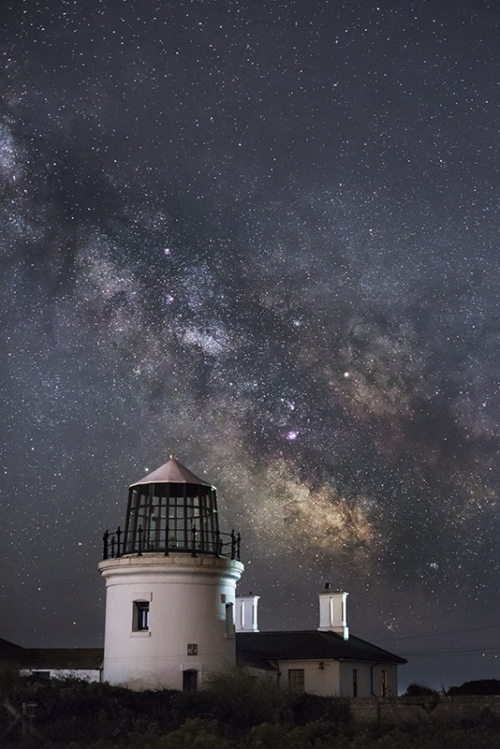 Night sky and astrophotography tuition is at the forefront of this workshop. A nightscape workshop that caters for all skill levels; although you will need to know how to use manual on your camera. 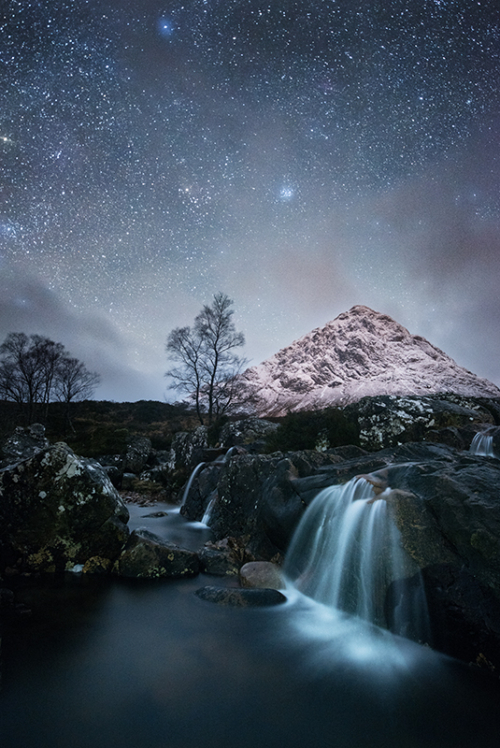 Scotland Nightscape Photography Workshop. Sounds broad, and that’s because this one is! The base is in a tiny place called Mergie, 6.5 miles out of Stonehaven, and this is where the editing session will take place on Lightroom and Photoshop. Dunnottar Castle is situated within a 20-minute drive and is, naturally, a primary location for this workshop. However, the workshop will aim to provide a minimum of two prolonged night shoots covering a range of techniques, on top of a four-to-six hour editing session on the final day. Extensive travelling, and adjusted meeting times, may be required to chase the weather and work exactly how Ollie works when he is producing his own landscape and night sky photography material. On occasion, this has literally meant travelling from one side of the country to the other. The course will run off an itinerary; several back up locations are also included, which work well for low light and nightscapes, spanning over into the west highlands if necessary. A reasonable fitness level will be required as hill climbing may be incorporated, up to around 600 metres, over boggy ground. The course will cover how to plan successful shoots; in-depth coverage of all apps and websites used by Ollie will also be included. As with all Ollie’s nightscape workshops, the dates are carefully planned to maximise use of what will be occurring in the night sky, against a stunning landscape backdrop. This workshop coincides with dark sky dates, meaning very late nights may be required to shoot the Milky Way; or chase the Northern Lights should they be active. The workshop will also offer up a chance to shoot sunset, sunrise, low light and blue hour landscape photography. The aforementioned is low priority, as the landscape astrophotography takes precedent. Accommodation is not included within the workshop price, however, Ollie can recommend B&Bs in Stonehaven and surrounding Aberdeenshire for participants who don’t live locally. Please contact Ollie via the enquiry form for further information about this tour.